We are a young tech company, which focuses on a cutting edge multimedia project development. We also conduct research in HCI (Human-computer interaction) and propagate our own phygital-philosophy. Phygital – is a brand new world. It is a force, which resolved around us and combines both material and digital worlds behind the scenes. Physical+Digital. The term have formed after it became impossible to describe all the changes with only “Digital”. 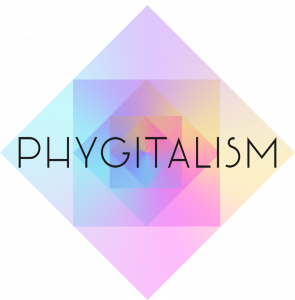 Phygital was born in a synergy between both. It is a way of life, a way of thinking, a mean of interaction on the edge of real-virtual tech.